Four pauses, four games, and one miracle later—the era of LPL dominance has begun. The LPL’s Royal Never Give Up have finally ended the era of Korean dominance on the League of Legends international stage. After a long, four-game series and one miracle comeback fight in the last game, they buried the LCK’s KINGZONE DragonX to claim their first crown at the 2018 Mid-Season Invitational. Heading into this tournament, RNG marksman Jian “Uzi” Zi-Hao was favored as the best ADC in the entire world. Up until now, however, he’s never carried a team to an international title, despite appearances in multiple finals at Worlds. In that regard, SK Telecom T1 legend Lee “Faker” Sang-hyeok was on another level as undoubtedly the best player in the world. Today, Uzi finally matched that raw, undeniable fire. After a long six-year career, he finally has his trophy. He’s the best player in the world right now, and RNG are the best team. This could be the beginning of Uzi and RNG’s legacy at the top, and they set their sights on Worlds next. 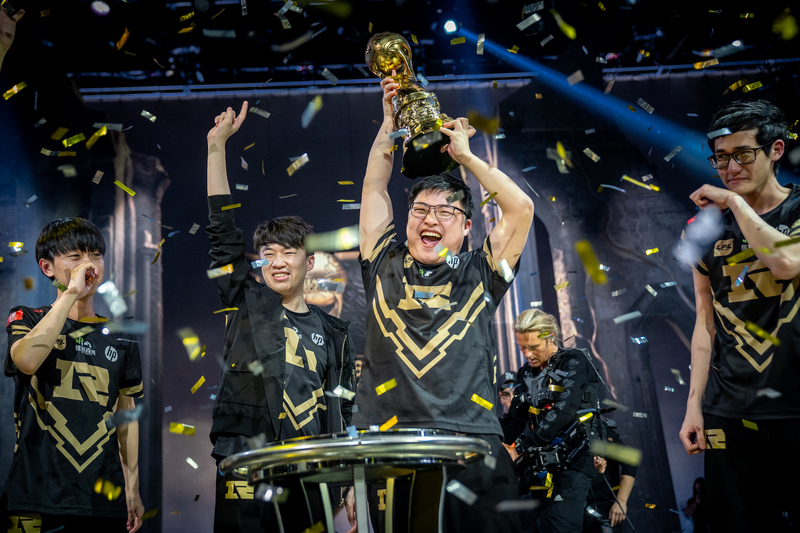 RNG built up a reputation as a triple-threat team heading into MSI 2018. They had a powerful jungle and sub jungle in both Hung ” Karsa” Hau-Hsuan and Liu “Mlxg” Shi-Yu, a strong mid laner in Li “Xiaohu” Yuan-Hao, and, of course, Uzi. Despite that, however, RNG struggled to shine throughout much of MSI in any lane outside of Uzi, who continued to solo-carry his team. Today was a different story, though. Karsa and Xiaohu finally stepped up to meet Uzi and match RNG’s reputation from the LPL Spring Split, and although KINGZONE took a game off of them, RNG crushed the LCK representative with this trio. There are so many significant stories to tell with this win for the LPL. Not only does it mean that the LCK’s streak of winning MSI and Worlds back-to-back-to-back is over, and not only does Uzi finally have his trophy, but Karsa won a title after leaving Flash Wolves for only one split. This win sets the LCK up to seek revenge both at Rift Rivals and Worlds later this year. For now, though, RNG can rest easy. They have the trophy, they’ve proven that they are the best team in the world, and Uzi’s destiny has been fulfilled.